CTS provides the blueprint for clients’ security planning and package, alerting them to threats and potential hazards of their specific situation and illuminating a solid base upon which to build a tailor-made tactical security operation. CTS draws from the experience and expertise of our researchers and its pool of former senior personnel from the Israeli security and intelligence communities. Specializing in the analysis of existing terrorist groups and individuals, CTS applies this research to clients’ potential and impending situations. CTS' Threat Assessment service provides an overview of international terrorist trends and how they are poised to affect Western governments and organizations. The Risk Analysis depict specific threat scenarios and their ramifications as they apply to a wide range of industries, organizations, locations, venues and events and provide an informed plan of action. 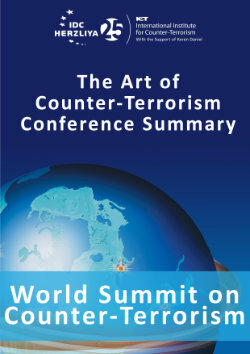 Whether evaluating the vulnerability of a specific country or region to terrorist infiltration, or examining potential terror threats to tourist venues, international events of Olympic proportions, critical urban or national infrastructures, to known danger zones around the world, CTS supplies case studies that provide methodical overviews and exhaustive analyses, with a concise articulation of current status and recommended action items. Among those who have benefited from these services are some of the world’s leading corporations and governmental entities.